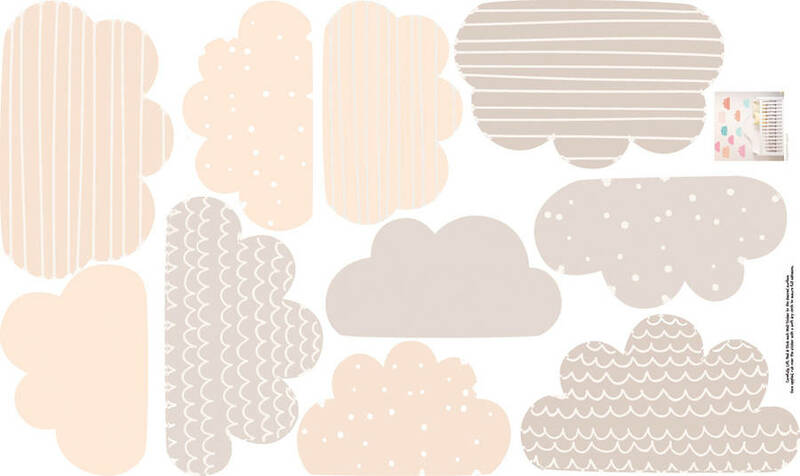 Pastel floating cloud wall stickers. 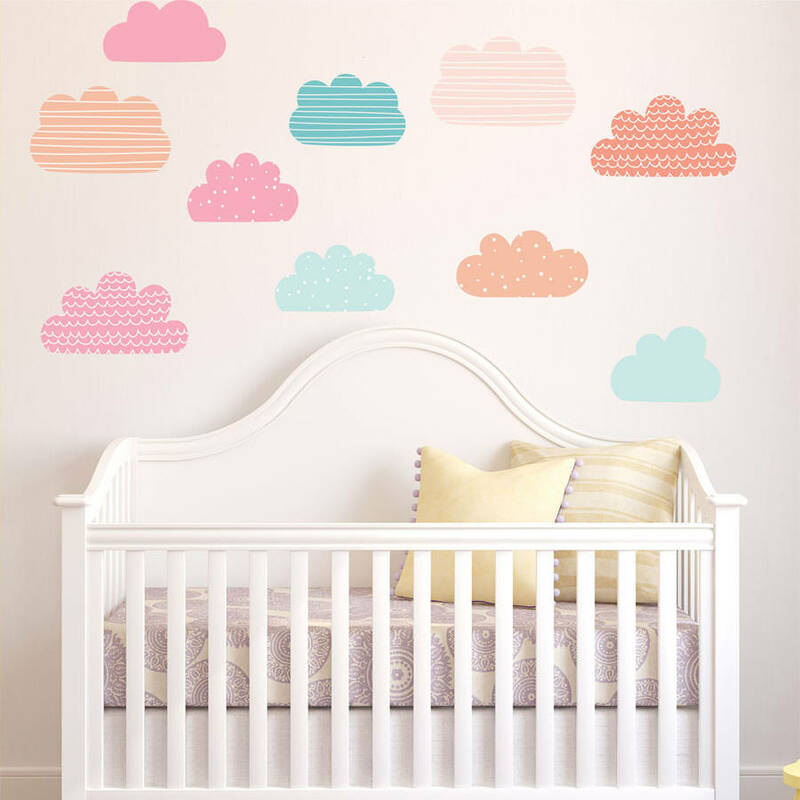 Our lovely floating cloud wall stickers are really effective and super easy to apply. Repositionable, durable and hygienic our wall stickers are great for childrens bedrooms, nurseries and playrooms. To install simply peel off the backing paper and stick to any smooth surface. Produced in Great Britain from premium matte fabric for a contemporary finish. 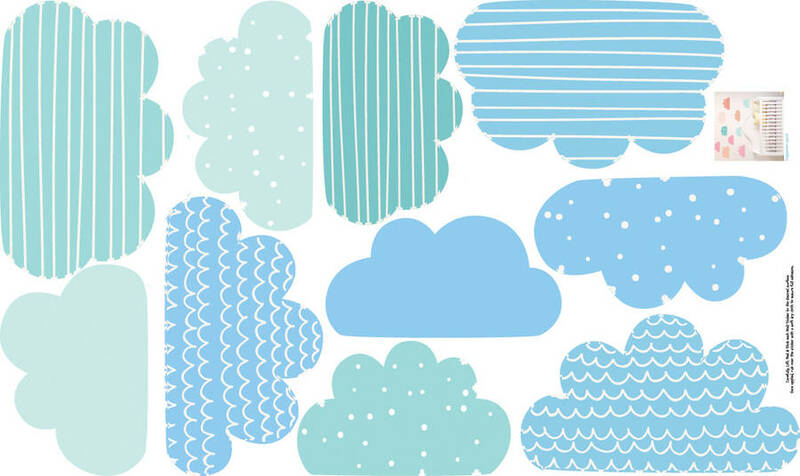 Includes 10 x clouds, largest cloud 30cm wide, smallest cloud 15cm wide.